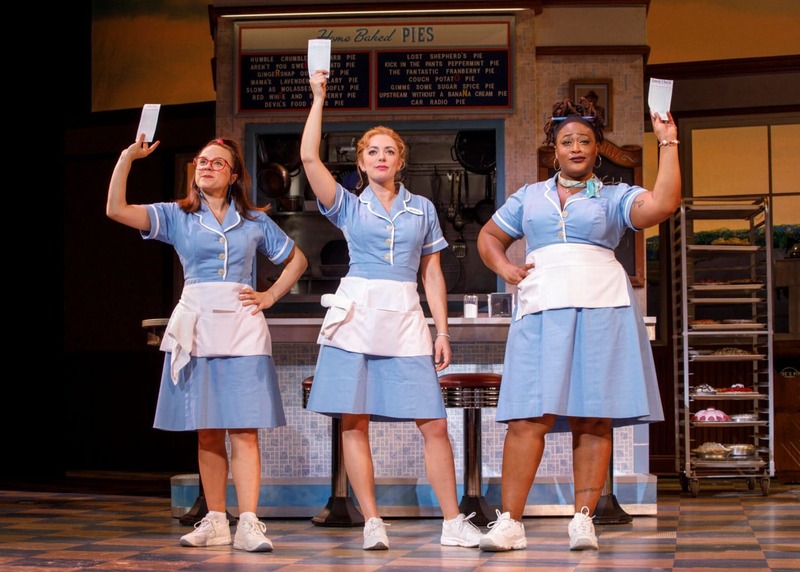 Waitress, a Tony-nominated Broadway musical, will be presented by Dallas Summer Musicals and Broadway Across America at the Music Hall at Fair Park March 28-April 8. With an all-female creative team, the musical features original music and lyrics by 6-time Grammy® nominee Sara Bareilles. The book is by acclaimed screenwriter Jessie Nelson, choreography by Lorin Latarro, and direction by Tony Award® winner Diane Paulus. Inspired by Adrienne Shelly’s beloved film, Waitress is the story of Jenna, a waitress and expert pie maker. Dreaming of a way out of her small town and especially her loveless marriage, she enters a baking contest in a nearby county. She is encouraged by the new doctor and her co-workers to take this route to rebuild her life. The only bright spot in her marriage to an abusive husband is her young daughter, Lulu. The touring production of Waitress has cast four young North Texas actresses in the role of Lulu for the show’s Dallas and Fort Worth engagements. 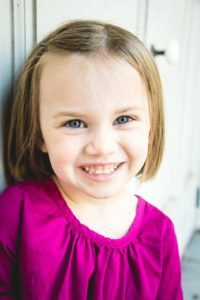 Eliza Chabot, 4, of Farmers Branch (pictured), and Quinn Johnson, 4, of Grapevine will alternate the role of Lulu in Dallas. June Whitley, 5, of Arlington, and Quinn Copeland, 6, of Fort Worth will alternate the role of Lulu in Fort Worth. The girls were chosen by an audition held at the Music Hall at Fair Park February 20. Over 40 girls participated in the auditions, which were presided over by members of the company. The character of Lulu is cast locally in each tour market, with each girl performing four performances a week. Tickets for the one-week Fort Worth run of “Waitress,” June 19-24, start at $44. To charge tickets by phone, call 1-877-212-4280 (toll free) outside Fort Worth; or order online at www.basshall.com. Dallas Summer Musicals 2017-18 season continues with the thrilling, spectacular and unforgettable Les Misérables, April 24-May 6, 2018; Disney’s The Lion King, winner of six Tony Awards®, including Best Musical, June 13-July 7, 2018; the spellbinding sequel to The Phantom of the Opera, Love Never Dies: The Phantom Returns, July 24-August 5, 2018; and closing the season will be the hilarious new musical School of Rock, based on the hit film, August 15-26, 2018. Dallas Summer Musicals will continue to bring the best of Broadway to North Texas in the 2018-19 season. Joining previously announced Hamilton and Disney’s Aladdin, is Broadway’s most beloved musical, the 2017 Tony Award® winner for Best Revival, Hello, Dolly! ; Cameron Mackintosh’s spectacular new production of Andrew Lloyd Webber’s The Phantom of the Opera; the romantic and adventure-filled new musical Anastasia; the legendary story direct from Broadway, Miss Saigon; and a gorgeous new Broadway production of Fiddler on the Roof, directed by Tony winner Bartlett Sher. DSM and BAA welcome back to Dallas two audience favorites as season add-ons to the 2018-19 season subscription. “Elf,” based on the film of the same name will return to Dallas just in time for the holiday season, and “The Book of Mormon,” winner of nine Tony Awards including Best Musical, will return to Dallas for one-week engagements as season add-ons.